In this six part series, topics range from influence and gender stereotypes to the role of confidence in influence success to the pros and cons of interrupting—and how to do it successfully! Other topics include influencing remotely, influencing within teams, and establishing a healthy climate for influence. Browse our case studies that explain how we helped companies in specific industries move their ideas into action and achieve outstanding business results. Barnes & Conti has developed informational podcasts about our most popular programs and the skills they teach. 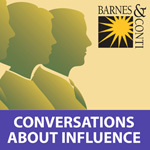 Our podcasts include a six part series on influence. Articles to support Exercising Influence™, our influence training program, and help you influence your team, your managers/executives, people from other cultures, and to help create an environment of influence, and more. Articles to help you manage the innovation process, facilitate creativity, create a culture for innovation, and manage risk intelligently. Articles for people who "walk the line" between being employees and consultants. These articles will give you insight into the uniqueness of your role and how you can influence others. Articles on inspirational leadership, leadership skills, how to establish a coaching culture, and skills for building world-class teams. No one likes change. These articles offer insights on effective change, turning negatives into positives when change is imminent, and more. Articles that cover strategic thinking and decisions making, as well as constructive debate, negotiation and conflict resolution. How do you exercise influence? Does your team/workgroup engage in constructive debate? What is your risk-taking profile? You can find out all of this and more by taking our surveys. Order books on influence, internal consulting, innovation, self-navigation, and more. This app references the expressive and receptive influence tactics and behaviors from the Exercising Influence™ program. This app references the Innovation Journey and the Avatars of Innovation behaviors from the Managing Innovation™ program. And Android version is coming soon.